The focus of the Yogi Adityanath government is on rural development as well as ensuring overall development of the state. The backward Bundelkhand region is all set to get special attention from the government. 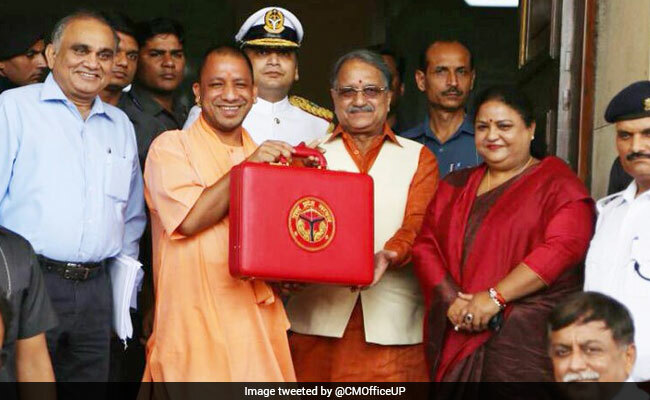 Lucknow: Uttar Pradesh Finance Minister Rajesh Agarwal today presented the first budget of the Yogi Adityanath government for 2017-18 in the state Assembly, which provides for Rs 36,000 crore as farm loan waiver. In his speech, he said the budget would take the state forward on the high trajectory of growth which has been pegged at 10 per cent in the next five years. The farm loan waiver was a major promise in the BJP's election manifesto and the fulfillment of the commitment was a big challenge before the Adityanath government, which has recently completed 100 days in office. The chief minister was present in the House when the finance minister read out the budgetary proposals on the opening day of the budget session of the state legislature. Mr Agarwal said that the focus of the government is on rural development as well as ensuring overall development of the state. The backward Bundelkhand region is all set to get special attention from the government. Mr Agarwal cited the single window system, power-for-all and Make-in-UP as some of the key initiatives of the BJP government. The finance minister announced that a new textile policy is in the works. He also apprised the House of the GST rollout.